In my search I came across lots of different options to power my POE devices. 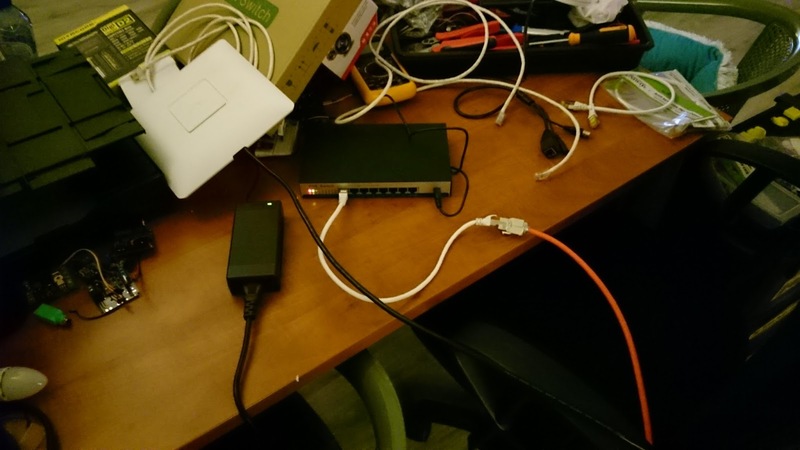 What I have been doing is using my devices with Passive POE adapters. You can find my blog article about it here. And although that has worked fine it’s a bit of a hassle and just doesn’t look right in a larger installation. For my new home (which I’m currently designing and hope to start building soon) I’m going to use up to 4 Ubiquiti UAPAC access-points and 2 to 4 IP camera’s. At most that would mean 8 passive POE injectors/adapters in my 19″ rack. That won’t look good, or be pratical at all. I looked at getting a managed switch, but these easily start above $400 if you want something manageable with a decent power budget. So I was getting ready to spend the money on it and Zyxel seemed to have the best offering with their GS1900-24HP it offered 24 Gigabit POE+ ports with a total power budget of 170w. But upon looking further and and debating getting 2 managed Gigabit POE switches with 8 ports, etc. etc. 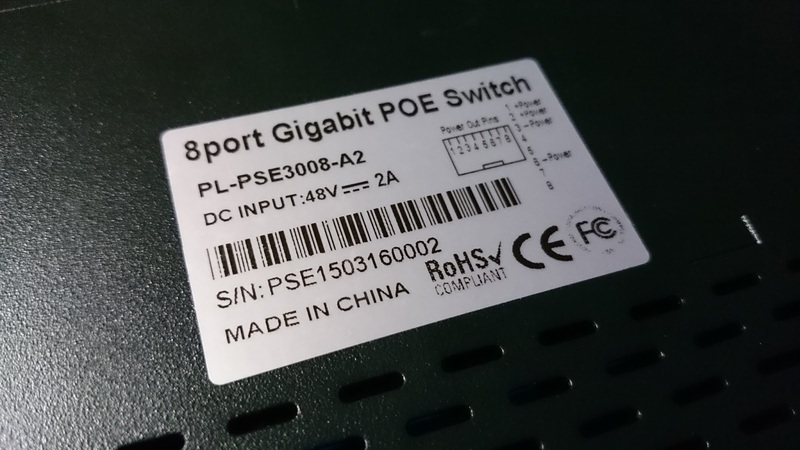 I found that you can buy unmanaged Gigabit POE+ switch for quite a lot less! What I ended up buying is a PL-PSE3008-A2 from Aliexpress. This switch only costs about $66! I would need 2 for my requirements but even then we’re only talking about $122. A LOT less then the Zyxel switch. The switch is manufactured by a company called XTDP-Link. Each switch has 4 Gigabit POE+ and 4 Gigabit ports. That makes 8 ports in total. 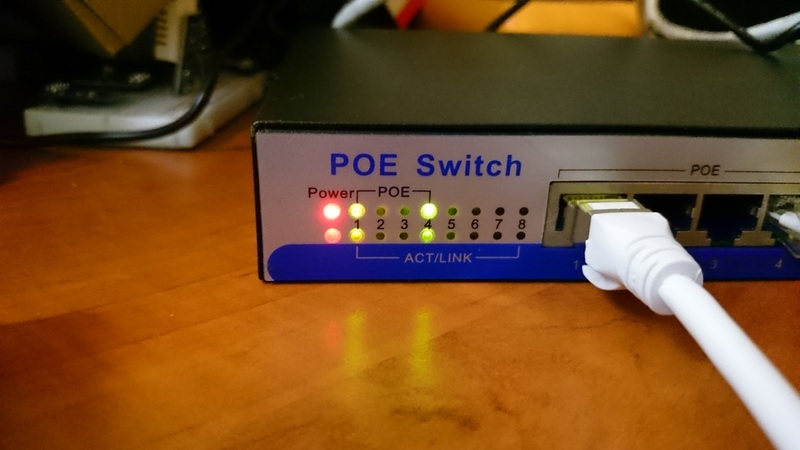 Each POE+ port has an individual power budget of 30w. According to the specefications the switch can deliver about 72w of total power, so you can’t load all 4 ports to the full 30w! The included power adapter is 48v and 2A that would make the total power available 96w! But, adjusting that down to about 85% it comes down to 81w of realistically usable power. I do not know if the power supply is the limiting factor or that the POE intelligence in the switch is actually a limiting factor. 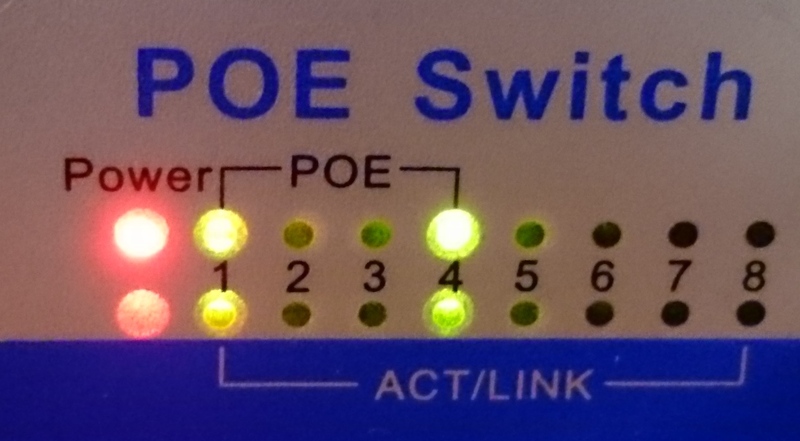 In the manual it is written that if the switch would run out of power to provide it will start shutting down POE to port 4 first, then 3, etc. to remain within it’s intended power budget. The mentioned 72w of power available is very decent for 4 ports! I was able to find a specification sheet for the add-in POE+ board! You can find the specifications in this PDF. 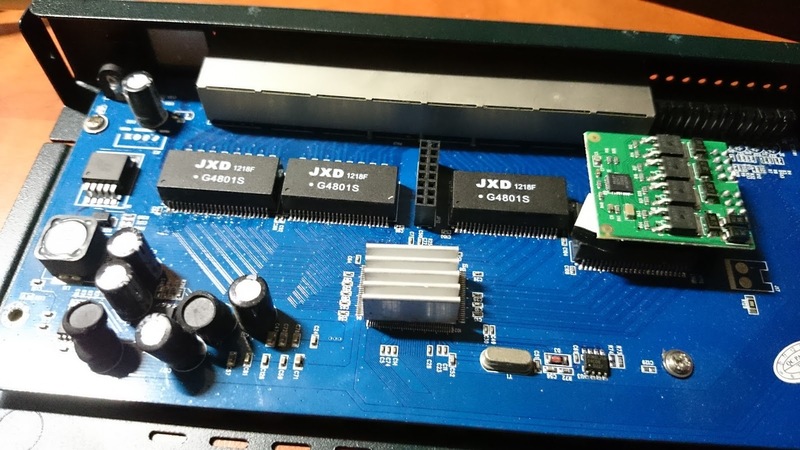 The switching chip used is currently unknown to me but I expect it to be a cheap Realtek or something alike. Those are now dirt cheap and have been non-blocking in throughput for a while now so I think it’s safe to assume this switch also has a non-blocking throughput design. It employs the store-and-forward switching method as most switches do now a days. 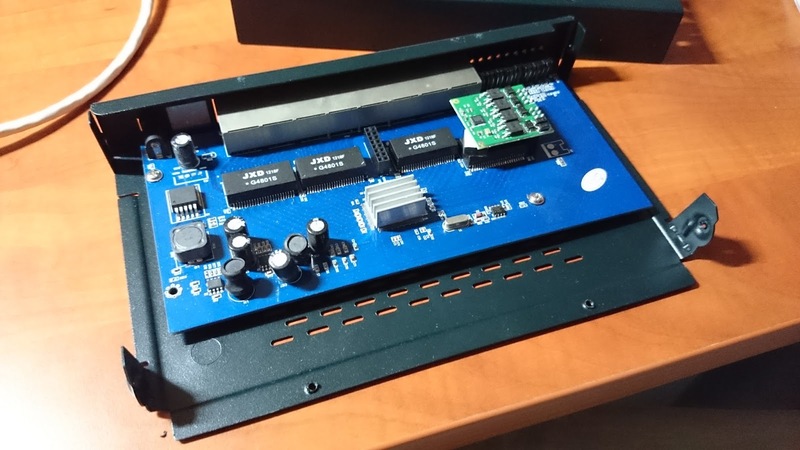 Sadly the switch does not have a rackmount option available but it does have “rackmount” screws in the front so I’m going to see if I can devise a mount myself. 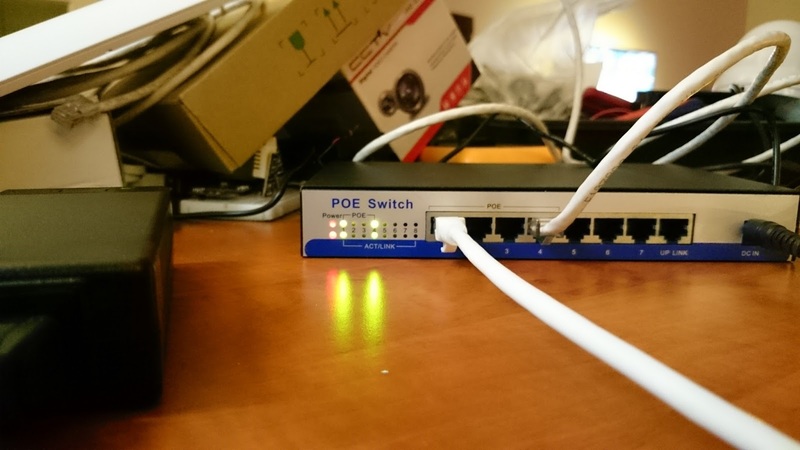 The website of XTDP-link does not list the exact model I have, but I think it’s because this switch can be sold in a 4xPOE+ or 8xPOE+ configuration. As the photos show one of the power board sockets has not been filled in my version and that’s why mine only has 4xPOE+ ports. As testing equipment I have an AOTE 5Mpix POE IP Camera with 2x IR and a UAP-ACv1 available. The first one is an IP camera I have written about before but with a POE board added to it. AOTE is actually adding one per default now a days. 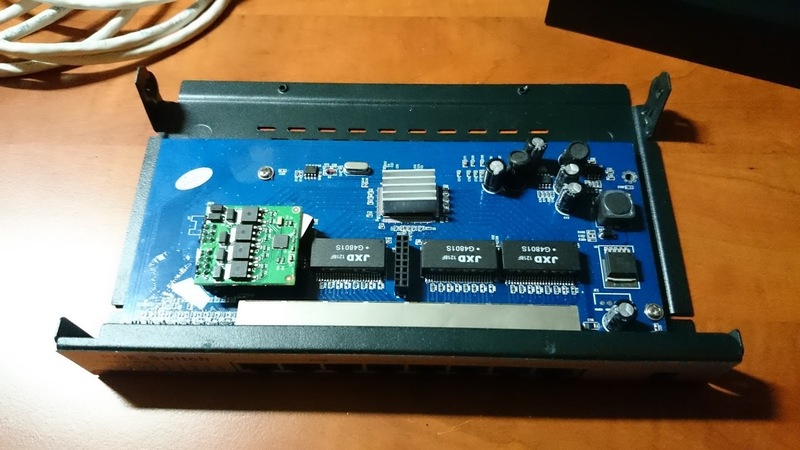 The UAP-ACv1 is a POE+ device which has a stated power need of 22w. 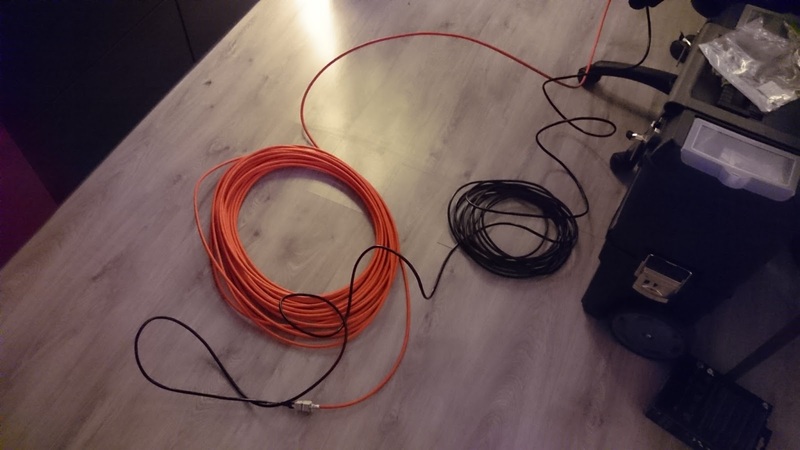 First thing I tested is connecting the switch to my routerboards and both the RB2011 and my CCR1009 connected to the switch just fine at 1Gbps. I did some throughput tests and was easily able to get the full 1Gbps through the switch. I also did some POE tests and took some wattage measurements. Keep in mind that spec sheets will always state the maximum power draw the device can ask of the switch. Depending on usage, settings (radio power, etc. ), connected clients, etc. power draw will vary. *If you want to know what the device is actually using you need to deduct the 2.2w the switch is using itself. As you can see the wattage the devices use becomes a bit higher using 50m of cable but not by much. Also the devices use a lot less then what is stated on their spec sheet. If you average that out over the 4 ports I believe the 72w will be more then enough except for the most extreme situations. The IP camera is 100Mbit device and connected very quickly. 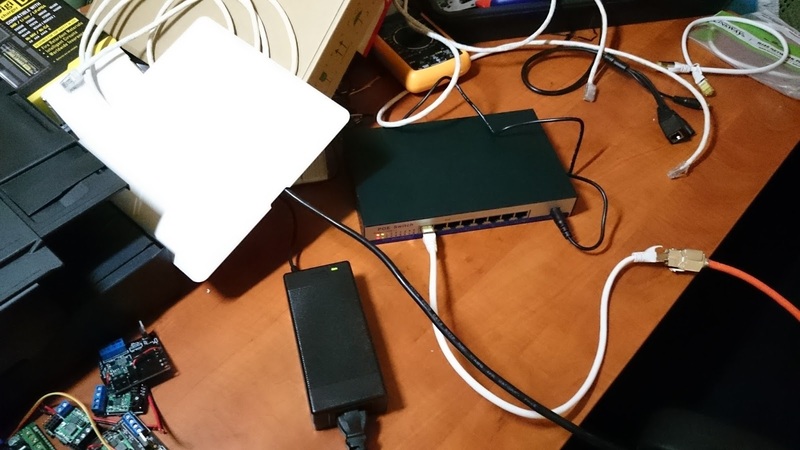 The UAP-ACv1 is a Gigabit device but also instantly activated it’s port and the software confirms it’s connected with 1Gbps. I couldn’t resist and I opened the housing to see what was inside. I was happily surprised to find a decently laid out and well constructed switch. 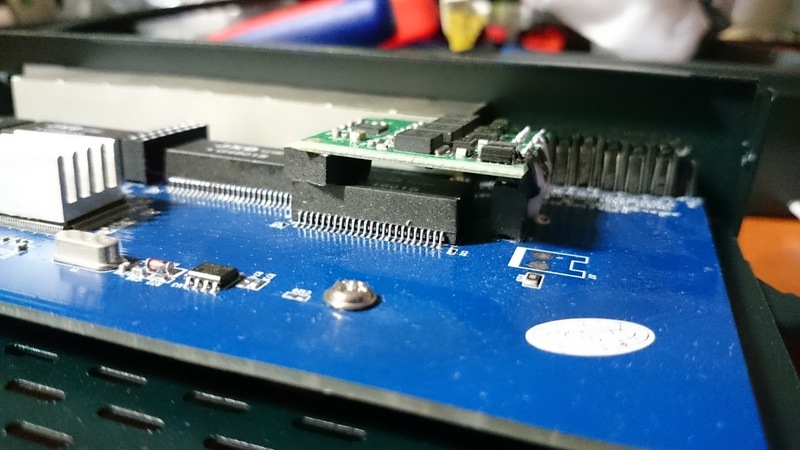 The board seems to be designed well and all the solder work is of decent or even good quality. I’ve used the switch for a few days now and it seems to be working fine for my 2 devices. Average power draw remains between 20w and 24w which is very decent. 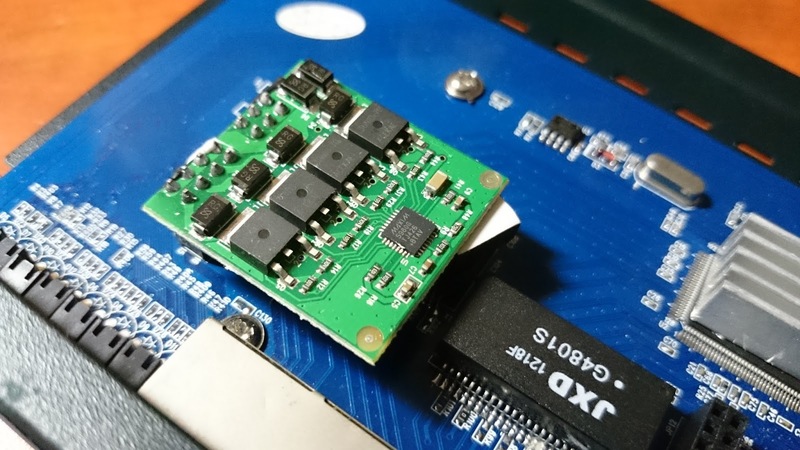 Everything has also remained stable, both the adapter and the switch have not gotten very hot or even warm and since both the adapter and the switch is fanless there is no noise whatsoever. I did a quick test to see how the switch reacts when VLAN’s are used and from what I could see if that it reacts the same as most other “dumb” switch I have used. It does nothing with the tags it just passes them on as it receives them. Perfect for me! In my setup I will use 2 of these switches, one for all my access-points and one for all my IP camera’s.
! When plugging the power adapter in the switch there is a little spark. This happened to me a few times but didn’t cause a problem. To prevent this from happening plug the little plug into the switch first and the connect the adapter to the socket. To temporarily unplug you can also pull out the cable from the adapter to the socket. Then there won’t be a problem.